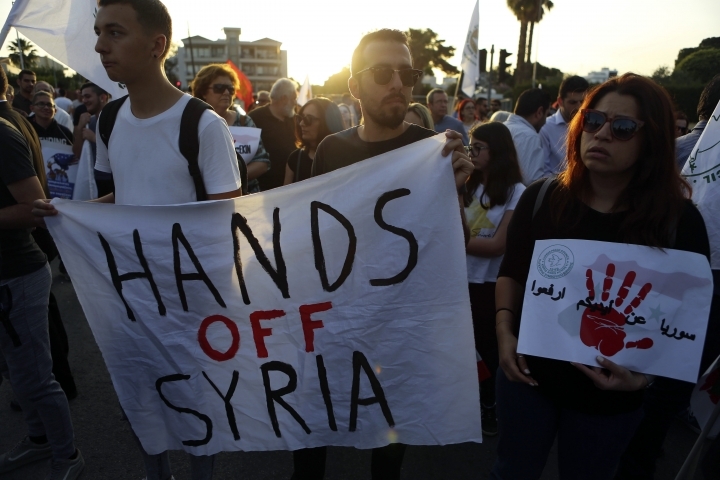 NICOSIA, Cyprus — Several hundred Cypriot, Palestinian and Syrian protesters waved Syrian flags and chanted anti-Western slogans in front of the U.S. Embassy in Cyprus on Monday to condemn the American-led airstrikes in Syria. 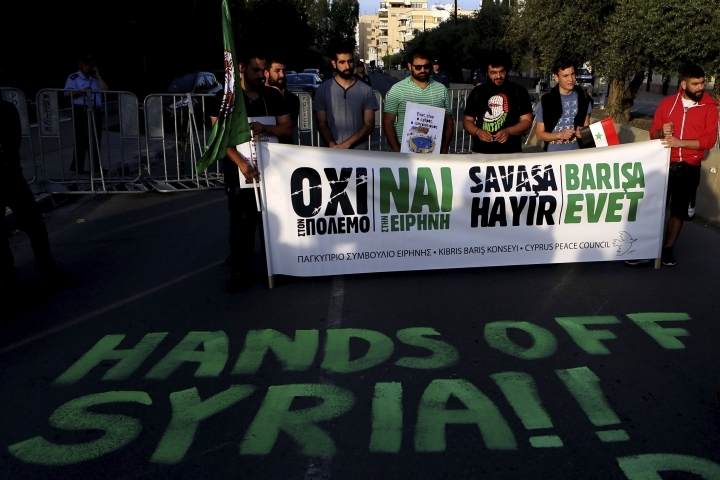 Protesters from a coalition of left-wing groups and Cyprus' communist-rooted AKEL party said the "aggression" against Syria on Saturday was unjustified without proof the regime of President Bashar Assad used chemical weapons on its own people. "It hasn't been proven that chemical weapons were used and by whom, if they were used," Christina Christofia, the daughter of former Cyprus President Dimitris Christofias, said. "In our estimation, it's just another manufactured excuse for another military, imperialistic intervention." 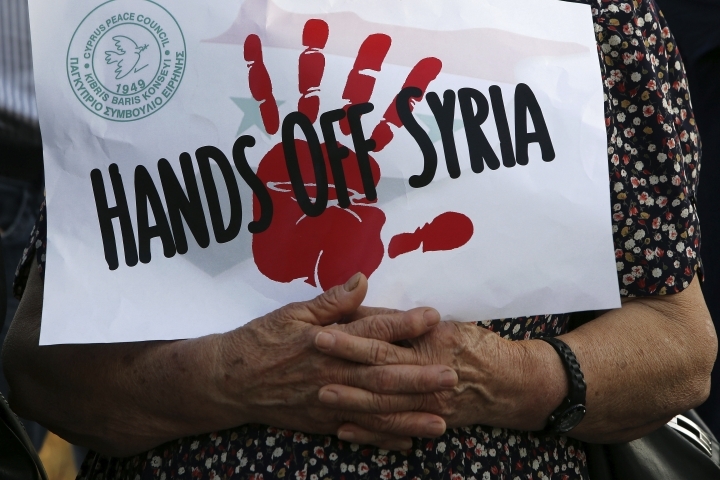 Participants at the protest, who included families with small children, also criticized the use of Cyprus as a launch-pad for attacks against the Syrian people. British warplanes took off from a U.K. air base in the east Mediterranean island nation, a former British colony, to take part in Saturday's missile strikes against suspected chemical weapons facilities in Syria. Demonstrators outside the U.S. Embassy chanted "Imperialism is the one enemy" and "Coups, wars, terror, that's NATO's black legacy." 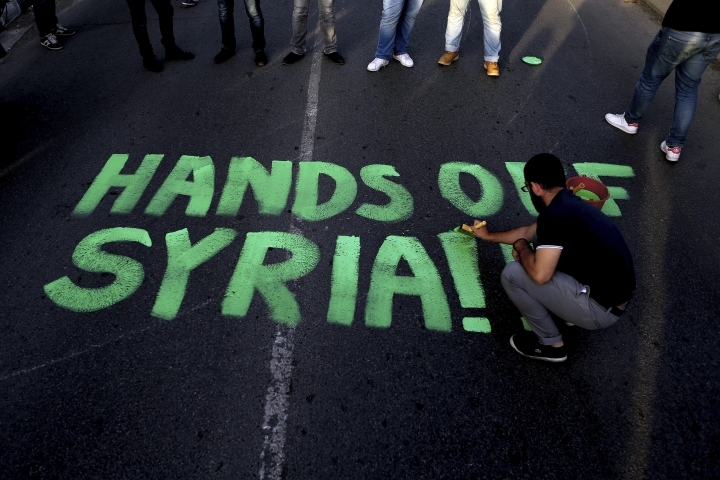 A group calling itself the Syrian Arab Community unfurled a banner describing the airstrikes a "reckless and irresponsible act" while a protester wrote "Hands Off Syria" on the asphalt in green paint. A dozen riot police were on hand during the rally, but kept a discreet distance.